Coping with tax reform: A business checklist The federal government implemented major tax reforms in 2018, leaving finance and tax experts to pore over the new legislation in an effort to offer their clients the best advice. How significant are these changes? Kody Wilson, a tax and advisory services partner at Ottawa accounting firm GGFL, puts it this way: “If a business owner doesn’t have an accountant and tax advisor now, this is the year to do it,” he says. Here is Wilson’s 2019 checklist for business owners: Timing of expenses: Business owners looking to buy, for example, new equipment or a building should consider making their purchase before the end of their fiscal year to qualify for a deduction and get credit for the purchase. Salaries, bonuses and dividends: This is always a major planning exercise for GGFL and its clients. The goal should be to optimize the mix of these three forms of compensation, based on the after-tax cashflow needs of the taxpayers and their families. This will be a more complicated analysis this year. Investment income for the year: If a company or individual has excess cash and has, for example, invested it in real estate or bonds, there are new investment income rules to consider. It is now more important to analyze that income to determine if it is reaching certain thresholds. Structure of operations: This is something GGFL reviews annually with its clients. Who owns the shares in the company, and is that ownership still the most advantageous? Are you considering buying real estate or operating in the U.S.? This is a multi-question examination. In marketing, building personas is all the rage. So let me paint you a picture of a slim (perhaps elite) segment of Ottawa’s business community. They hail from all industries, but most work in tech. Almost 90 per cent work for locally headquartered private companies that are located in downtown Ottawa. Annual revenues? Huge range, but the majority report revenues of $2.5 million to $5 million. They’re divided in two when it comes to their geographic markets, with half focused on Ottawa and the other half focused on national or international markets. Most of them own companies, leading teams of 20 to 50 people. Of those who founded their companies, 20 per cent were in their early 30s when it happened and they tapped personal savings for nascent ventures. They are well educated. Practically all of them hold university degrees, with almost a third completing postgraduate studies. Not only are they smart, they’re fairly well off. About half of our segment have personal incomes between $150,000 and $250,000. A fifth of the them earn $500,000 or more annually. Oh, yes. The key part. Every single person is under the age of 40. Have you guessed it yet? Yes, it’s the persona of Forty Under 40 recipients. Right now, OBJ and our partners at the Ottawa Board of Trade are searching for the 22nd cohort of recipients. My, how time flies. The awards modestly began as a newspaper feature in the late 1990s with 40 recipients selected by OBJ’s editorial team. These days, the process is a lot more regimented. Today, nominees are judged by a distinguished independent panel on a 40-point system. (How appropriate, 40 points, right?) Half the points are for business achievement. The other half are split between two criteria – the nominee’s level of expertise and his or her involvement in the community, very broadly defined. That could mean straight volunteer work or maybe leadership of a professional association. So back to that persona. Do you need to match exactly? No, but it helps to resemble the profile. A special invite goes out to our city’s female business leaders. Last year marked the first time Forty Under 40 achieved gender balance. It was noteworthy to say the least. Here is how you get involved. Visit www.fortyunder40.ca, create a profile and get started. Pro tip: You can nominate someone you know and surprise them, but that typically backfires. Get the recipient involved in the process. In recent years, 300 people have started nominations, so heed this advice. Zero points for flowery marketing language. (It might work against you.) Let the facts speak for themselves. Nominations close at the end of March. OBOT Connect! is a joint initiative of the Ottawa Business Journal and the Ottawa Board of Trade. This new publication takes an in-depth look at the trends and issues shaping businesses in various regions of the city while providing highlights of Ottawa Board of Trade initiatives in the community. In this issue, reporter Rosa Saba looks at how local tech firms and economic development officials are pushing to turn the Greenbelt Research Farm in south Nepean into an R&D centre for the emerging field of precision agriculture. She also explores how the growing presence of the nearby National Defence headquarters is sparking a new wave of development in Bells Corners. INSIDE THIS ISSUE PRIVATE MORTGAGE LENDING BOOM? OBJ newsmagazine editor David Sali takes a closer look at how the introduction of tougher mortgage stress test rules in 2018 has caused many prospective homeowners to turn to alternative lenders to finance their purchases (pages 24-25). OBJ.SOCIAL Columnist Caroline Phillips has a behindthe-scenes look at a tasty event in the Glebe, a great Scottish gala and a very special fundraiser involving the Ottawa 67’s and spearheaded by a group of young professionals (pages 29-32). TECHOPIA Techopia editor Craig Lord takes a deeper dive into local startups that are making their mark in the nascent proptech sector that’s changing the way consumers buy, sell and live in their homes (pages 34-35). He also sheds light on why Ottawa firm Corsa Technology’s expertise in the field of software-defined networking has made it a company to watch in 2019 (page 36) and reports on surveillance video software maker Solink’s latest major round of venture capital funding (page 37). Just in time for International Women’s Day comes CEO Talk with a yet-to-be-confirmed speaker lineup of female executives. If you haven’t visited the new $38-million Ottawa Art Gallery, there’s another reason to attend. The event is booked for the Alma Duncan Salon, but you can also check out the gallery until 9 p.m. OAG is the new home to the Firestone Collection of Canadian Art donated to the City of Ottawa in the early 1990s. The collection includes a number of pieces by the Group of Seven with a particular focus on A.Y. Jackson. Visit www.ottawabot.ca. Hockey stars in disco attire. Sound appealing? If so, don’t miss the Sens Soiree, the annual signature event of the Ottawa Senators Foundation. This year is sure to be extra special as a new crop of young Sens stars rub shoulders with fans at this posh gala. The theme for 2019 is “Saturday Night Fever” and the event moves to a new venue, the Westin Ottawa. Ferguslea Properties is back as lead sponsor to help “change the game” for youth in our community by providing mental health support and resources. Visit www.sensfoundation. com/soiree. Carleton University’s new president is booked for the Mayor’s Breakfast in February. Dr. Benoit-Antoine Bacon was appointed as the university’s 15th president and started his five-year term in July. Before this appointment, Bacon served as provost and VP academic at both Queen’s University and Concordia University. Visit www.ottawabot.ca. Imagine if TED were coming to Ottawa. It’s not, but you can imagine. TEDx Kanata is scheduled for late February with “imagine” as its central theme. Organizers have lined up a stellar group of speakers, most hailing from either tech or business. Get ready for tech leaders such as Eli Fathi, John Proctor, Amy MacLeod and Anna Lambert, plus legal executive Katharine Cooligan. It all happens at Brookstreet Hotel starting at 3:30 p.m. The economy’s been good, but I think there’s more to it. I think we’ve just been getting it right. Days before its anticipated debut on an American stock exchange, Hexo (TSX:HEXO) announced in late January it intends to raise $50 million to fund its expansion and product development plans. The final offering will see the Gatineau pot producer list additional common shares on both the Toronto Stock Exchange and the NYSE American. Hexo’s offering will be underwritten by CIBC World Markets and BMO Capital Markets and includes a 15 per cent over-allotment option. The firm said in a statement it will use the funding to finance its global expansions – Hexo announced plans to tackle the European market from Greece last year – and R&D on new products. The company took another step towards a novel line of cannabis products with its announcement earlier in January that Veronique Hamel will join the firm as its new chief innovation officer to oversee R&D efforts. secondary institutions have earmarked a collective $3.5 million for land investment. The Canadian Dairy Commission is contributing $500,000 to the program. Lactose enthusiasts can expect to start making cheddar at one of the two colleges in the fall of 2020. Until recently, she was known as Lisa Delorme, but she’s been gradually switching over to her husband’s surname, Owen, since they tied the knot in 2016 in a backyard wedding ceremony. And, yes, her gown was from Rent frock Repeat. It was designed by Theia. Owen loves living in Cornwall, where she also grew up. She sits on the boards of the Cornwall Hospital Foundation and Job Zone D’Emploi and is involved with the Cornwall Innovation Centre. “It’s a city that’s redefining itself,” she says proudly. Owen says she gets her resiliency from her mother, Shirley Zappia, and her appreciation for well-made products from her entrepreneurial father, Frank Zappia. At age five, he immigrated to Canada from the southern Italy region of Calabria with his family, who for years ran the popular Zappia’s pizza restaurant in Cornwall. Rent frock Repeat has twice won a Canada Post E-Commerce Innovation Award and the thousands of dollars in shipping and marketing credits that come with each award. Owen and Wieber successfully landed a financial offer during their 2012 television appearance on Dragons’ Den. In the end, they were able to grow their business on their own. “From an exposure perspective, it was fantastic for the company,” says Owen of being on the CBC show. Under RfR’s new business model, clients will receive, through the mail, a box containing several items selected for them by a professional stylist. Rent frock Repeat will start off with 5,000 subscribers, each of whom will create a fashion profile of herself, based on her size, lifestyle, budget and personal taste. RfR covers dry-cleaning costs. Five tips to purchasing commercial property in Ottawa If buying, selling, or leasing a commercial property was as simple as just signing on the dotted line, anyone could do it. But it can be a complicated, risky process, and requires the assistance of a professional. When it’s time to expand your business or make an investment there are many decisions to be made. A commercial member of the Ottawa Real Estate Board (OREB) can help combat the uncertainty in any commercial transaction. DEFINE WHAT YOU’RE LOOKING FOR What is your dream commercial property? Where is it located and how many square feet do you think you might need? Realtor members of OREB’s Commercial Services Network can help identify and assess the needs of your organization. “OREB’s Commercial Realtors are experts in identifying the needs of entrepreneurs,” says Geoff Godding, Chair of OREB’s Commercial Services Network. “We can also assist a client in assessing whether it would be more advantageous to lease or purchase a commercial property. This requires thorough analysis and planning,” noted Godding. ASSEMBLE A TEAM Once you’ve made the decision to move forward with a purchase or lease, a member of OREB’s Commercial Services Network can help you find the right space and ultimately to negotiate and close the deal. “We can assemble a team of experts to guide clients through things like environmental assessments and everchanging mortgage rules, in order to protect their interests,” says Mitch Gauzas, Chair- Elect of OREB’s Commercial Services Network. GET A GOOD LOOK AT AVAILABLE PROPERTIES Give yourself ample time to gather information on available properties. Keep in mind that your business may expand in the future. A Commercial Realtor will be able to assist you to find the perfect space. “Don’t be afraid be ask your real estate professional about current market conditions and be sensitive to the time of year,” says Tim Lee, Broker. “Both sellers and buyers will have different motivations based on these factors. OREB’s Commercial Realtors have the data and experience to provide timely suggestions that can make a big difference in your budget,” he said. CALCULATE YOUR RETURN ON INVESTMENT If your organization decides to purchase property as an investment, the key is to determine your return on investment. You don’t want to move too far into the process before realizing that maintenance, repairs and financing costs will erode an unacceptable portion of a property’s income. OREB’s Commercial Realtors can assist in the process and perhaps identify other properties that could yield a higher return. “Commercial Realtors have access to resources of the Canadian Real Estate Association such as quarterly commercial snapshots of key economic indicators for commercial real estate, as well as financial models, and calculator tools,” says John Zinati, Broker. SET YOUR GOALS, ENTER INTO NEGOTIATION, AND CLOSE THE DEAL Going solo without representation can leave parties in a vulnerable position when entering into negotiations. Realtors are required, through a strict Realtor Code of Ethics, to protect their client’s negotiating position and have the expertise to do so. Before going through the negotiation process, make sure your real estate professional understands your goals and your budget. WHAT IS A COMMERCIAL REALTOR? “Realtor” is not a job description. It is a trademark of the Canadian Real Estate Association (CREA) and stands for service, competence and high ethical practice. Only Members of CREA can use the term Realtor. Members of OREB’s Commercial Services Network advise, recommend, caution and counsel their clients with a level of expertise that brings value to any transaction. Only Realtors have access to the MLS System. MLS System listings can be uploaded to Realtor.ca where they reach a global audience. Realtor.ca is a marketing site operated by CREA and had 264 million visitors in 2018 and 5.3 billion page views. FUN FACT In 2018, OREB’s Commercial Realtors listed 15,331 commercial properties on the MLS System through their exclusive access, and were able to review historical data on thousands of listings for comparison. Find a Commercial Realtor at www.oreb.ca. construction fences on her daily walk to work, is advising merchants on the strip to beef up their social media presence and get the message out that they’re still there to serve customers. She also suggested a year without car traffic might have an upside, giving businesses a chance to build a closer rapport with the clients who keep patronizing their shops. “If it’s slower, you simply have more time to connect with your customers and make every single interaction unique,” Hutton said. Are you under the age of 40 and a business achiever in Ottawa? for the 2019 Forty Under 40 awards. We’re looking for 40 young leaders who exemplify business success, professional expertise, and community giving. NOMINATE YOUR COLLEAGUE. NOMINATE A CLIENT. NOMINATE YOUR SPOUSE. NOMINATE YOURSELF! More than office space. A one-of-a-kind living environment. Current leasing opportunities in Downtown Ottawa and Kanata. suggests the local industry is poised to bounce back after the number of total visitors in 2018 fell 1.5 per cent from a year earlier and overnight stays dropped nearly two per cent. The Conference Board blamed several factors for the decline, including the “hangover effect” from the Canada 150 celebrations that drew a record number of tourists to the capital in 2017, rising gas prices and a heat wave that put a damper on visits in the peak tourism months of July and August. overseas travellers to visit Ottawa, led by a surge in visitors from growing markets such as China and Australia. The report came after Ottawa Tourism told OBJ it’s putting its marketing efforts in China on hold in light of strained relations between Canada and the Asian country. According to the Conference Board, China is Ottawa’s top market for overseas travellers, with more than 96,000 tourists from the country visiting the capital in 2016.
for Algonquin College Board of Governors Algonquin College is the largest college in Eastern Ontario, empowered by a vision to be a global leader in personalized, digitally-connected experiential learning. A Unique Opportunity We are seeking candidates to join the Algonquin College Board of Governors. Board members can make long-lasting contributions to public education, benefiting students, faculty, the community, and the province. Applications submitted through the Public Appointments Secretariat are forwarded to Algonquin College periodically, and may not fall within the Board’s regular recruitment timeline of January to April. a joint initiative of Ottawa Business Journal and the Ottawa Board of Trade. This new publication takes an in-depth look at the trends and issues shaping businesses in various regions of the city, while providing highlights of Ottawa Board of Trade initiatives in the community. Nominations are now open for the 2019 Forty Under 40 awards – one of the National Capital Region’s most sought-after and distinguished business accolade for young professionals. Now more than 20 years old, Forty Under 40 is jointly presented by Ottawa Business Journal and the Ottawa Board of Trade and recognizes the region’s rising stars who are leaders within their industry and community. Recipients must be 39 years or younger on June 30, 2019, spend the majority of their work time in Ottawa-Gatineau and be an owner, executive, manager, professional or person with significant business decision-making authority. Selfnominations are encouraged. For more information and to submit a nomination, visit fortyunder40.ca. How can our staffing services help you? There’s no way around it; you need good people. The problem is, it takes time to find good people. The other problem is, you don’t have a lot of time. Temporary staffing Got a big project? Short a few people? Busy season coming up? We can find the people you need — as soon as you need them. There’s a lot of pressure to make the right permanent hire. Just take that pressure and put it right on us. We can handle it. Recruitment consulting Need help with some or all parts of the recruitment process? We’ve got just the solution. Our company represents a very attractive, youthful, Ottawa based health practitioner/entrepreneur looking to share the next chapter of her life with a soul mate. You will find her to be someone who loves life, has a playful personality, lots of energy and is outgoing. She likes fine dining yet is just as happy meeting up with friends at a pub. Her ideal vacation spans hiking in the backwoods wilderness to lounging on a tropical beach. She appreciates intelligent conversation and enjoys reading, listening to podcasts, traveling, live music festivals and theatre, and entertaining at home. She stays fit and active by playing tennis, skiing, running and hiking. Our client is interested in meeting an intelligent, fit and well groomed gentleman who shares similar interests. He should be grounded, cultured, witty with a sense of humour and love of the outdoors. He should also be family oriented, spontaneous and have a passion for life. Age late 40’s to 60’s. If you are looking for a best friend and lifelong partner to share your life and are interested in seeing if this exceptional lady is for you, please email or call quoting #10346 for a personal and confidential interview with Ruth Claramunt. style units will make it easier for existing residents to stay in the community and free up single-family homes for young families to move in, says Chiarelli. Another new face in the neighbourhood is a familiar one: KFC, which returned recently, says Chiarelli. “Symbolically, this is very exciting,” he says. sustain the Kanata market,” the report said. Avison Young is also predicting the city’s industrial sector will tighten up in 2019, with projected vacancy rates falling half a percentage point to two per cent. More than one million square feet of space is slated to be added to the city’s inventory, the report said, but 96 per cent of that will be swallowed up by e-commerce giant Amazon when it takes over a massive new warehouse off Boundary Road later this year. ontinuing a recent trend, homes in Ottawa’s outlying areas were a hot commodity at the end of 2018, driving up prices in areas such as Leitrim, Manotick and Stittsville closer to levels traditionally seen in popular central neighbourhoods such as the Glebe and Westboro. Housing prices in those rural areas have risen by up to 47 per cent in the past five years, according to data from the Ottawa Real Estate Board. But outlying neighbourhoods aren’t the only ones where housing prices have risen rapidly in recent years. According to OREB data, prices in 35 out of 60 neighbourhoods have increased by more than 20 per cent over the last five years. Here are 20 of the hottest neighbourhoods in Ottawa, ranked by the real estate board’s home price index benchmark. These mortgage rule changes have made it more difficult (for potential buyers), and what we’re seeing on the private lending side is the quality of business that is coming over to us is second to none. –​ Michael Hapke, founding partner of Ottawa’s Advanced Mortgage Investment Corp.
and Dad” in order to jump into the market. Ottawa mortgage broker Chris Allard says he’s noticed a similar trend, with a “significant” uptick in the number of files crossing his desk from people who’ve been gifted funds for a down payment as well as applications co-signed by a friend or relative. “If there’s an option at all for parents or family members to gift funds or to co-sign, they will take that option before choosing to pay a higher mortgage interest rate,” he says. ou know things are going well at the office when your boss shows up to hand out cheques for $6,000 to you, your co-worker, your team and the rest of the company. But that’s just what’s in store for every employee at Ross Video in February after the Ottawa-based video technology company hit an all-time revenue record in fiscal 2018. Annual revenues were up 20 per cent over 2017, marking the firm’s 27th straight year of record-setting revenues. Ross Video has previously told OBJ its yearly revenues are in the hundreds of millions. David Ross, the firm’s chief executive and OBJ’s 2016 CEO of the Year, dropped another big stat during an interview in mid-January: Ross Video’s profit in fiscal 2018 surpassed the firm’s total net earnings for the entire decade that came before. “We grew everywhere: almost every product line was up, almost every geographic area was up, almost every market vertical was up,” Ross told OBJ. “The economy’s been good, but I think there’s more to it. I think we’ve just been getting it right.” Ross Video’s production equipment is used everywhere from the Super Bowl and other major sporting events to the Oscars and awards shows of that ilk. Ross said the company’s products continue to improve as market demand evolves, making it difficult for competitors to catch up with the wellentrenched, 45-year-old firm. that giving out bonus cheques to the employees does a lot for morale – his own included. “I like talking to somebody who’s in manufacturing and asking them what they’re going to do with their cheque. It’s like this big found money and it usually doesn’t just go into the bank account,” he said, explaining that many employees opt to spend the windfall on a big vacation or a new car. There will likely be additional cheques to write this time next year, as Ross Video is expecting to hire 100 new employees in the next six months. a television and say, “I had a hand in making that broadcast happen,” registers with many of the new hires. That pitch, on top of the many emerging technologies that Ross has a hand in developing, has made the company a popular prospect for tech workers in the National Capital Region. At this year’s Super Bowl, for example, Ross Video will have a hand in the fan experience graphics on the big screens at Atlanta’s Mercedes-Benz Stadium. “I don’t think there’s a company in Ottawa that has that wide range of technologies that they integrate together,” Ross said. About a year ago, Ross Video was telling OBJ that the company had just reported its highest-ever quarterly revenues. Ross noted before ending his latest call that as its first fiscal quarter wraps up, the company is slated to finish another 20 per cent higher than last year’s figures. So don’t stop Ross now – they’re having such a good time. indoor block party. With winter being so cold and dark this time of year, you’re more likely to bump into your neighbour at Taste in the Glebe than on your actual street. A bunch of more established restaurants, including Beckta, North & Navy and Fraser Café, participated in the separate, more expensive premier tasting experience. Longtime supporters included Caren von Merveldt, owner of Von’s Bistro, Flipper’s Restaurant and Pelican Seafood Market & Grill, although lively co-owner Jim Foster was absent this year. Mayor Jim Watson ​– who is a loyal attendee of Taste in the Glebe – stepped in for the fun photo-op previously mastered by Foster, involving a whole smoked salmon side fillet. Organizers expected to raise about $30,000. The money helps GNAG (Glebe Neighbourhood Activities Group) and its community development fund, which subsidizes families across Ottawa so they can participate in the non-profit organization’s recreational, social and cultural activities. The fund also provides for capital and community projects. Wayne Jennings and his wife Sandy are new to the neighbourhood (they moved onto Clemow Avenue last year). They got tickets to the event as a housewarming gift from their friends, fellow Glebites André Champagne and Katherine Ryan. “This is our way of introducing them to the Glebe,” said Champagne, who also works in the Glebe. He’s a partner at labour and employment law firm Emond Harnden. Jennings is president of Doran Contractors, which is part of Taggart Group of Companies. As the evening wore on, Erling’s Variety appeared to be running low on food. Were they dealing with a particularly ravenous crowd? Had Erling’s not brought enough? “Both; it’s a strategy. Shhh,” replied owner Liam Vainola while placing his index finger to his lips. It became clear he was only kidding after a large platter of fresh oysters and scallop ceviche soon appeared. Attendees came out in full Scottish regalia for the Gala Burns Supper and Ceilidh. The all-new 2019 Audi Q8. Supper. The response was delivered by MacLeod. Fraser was named 2018 Scot of the Year by the Toronto-based Scottish Studies Foundation. His ancestors sailed to Canada from Kirkhill, outside Inverness, Scotland, in 1807. They settled in Pictou County, N.S. Fraser has had a distinguished career in journalism, as did his father, Blair Fraser. He also served for 10 years as Canada’s official languages commissioner, until 2016. He’s currently a visiting professor at the McGill Institute for the Study of Canada and senior fellow at the Graduate School of Public and International Affairs at the University of Ottawa. VIPs also included Catherine McKenna, federal minister of environment and climate change. She was invited to make a toast to “the Immortal Memory of Robert Burns,” who penned Auld Lang Syne and many other classic works. Also spotted in the crowd were Commander Neil Marriott, the United Kingdom’s naval and air attaché to Canada, and Catriona Little, who arrived here last September as part of the Scottish government’s efforts to strengthen economic ties with Canada. She’s head of its new Scottish government affairs office, based in the British High Commission in Ottawa. The dinner, which raised money for the Make-A-Wish Foundation, also featured entertainment by the Pipes and Drums of the Cameron Highlanders, Ernie Fraser and Company, The Brigadoons, the Ottawa Highland Dancing Association and the Ottawa branch of the Royal Scottish Country Dancing Association. A new season brings new food and a new menu to the Shaw Centre with fresh, organic and sustainable ingredients. Chef Patrick Turcot works with local suppliers to secure the very best in farm to table produce. Our talented kitchen creates incredible, palate-pleasing dishes with élan and ﬂair. Prepare to be wowed as Canada’s Meeting Place becomes Canada’s eating place! From left, community leaders David Gaylord, Chris Bockstael and Patrick Champagne are organizing a fundraising dinner involving the Ottawa 67’s in order to help more kids gain access to after-school sports at the Rideau Sports Centre. mayor; and Zach Quevillon, a teacher who’s also heavily involved with the Ottawa Lions Track and Field Club. Assisting in an advisory role is Dr. Nalin Bhargava, team dentist for the Ottawa Redblacks, Fury and 67’s. For tickets, go to strathconatigers.ca. strategic alliances with the City of Ottawa’s building and planning departments and the region’s consultant and contractor communities. This streamlines and accelerates the process on behalf of their tenants significantly, and has resulted in numerous successful projects over the past two decades. “We want the best for our clients, and that is our mandate,” says Goldstein. “We offer these services not only to maintain the properties, but also to improve them. What’s important is that the properties match the tenants’ requirements both functionally and esthetically.” Trend Micro’s current project includes 29,925 square feet incorporating the ground and second floors and several new spaces including a new lobby and multiple labs. Their third and fifth floor renovations were completed last year. Trend Micro expands Kanata office KRP Properties acts as single point of contact for renovation, streamlining project. amie Blades was raised in real estate. The Ottawa entrepreneur’s family flipped some 15 houses over the course of his youth, giving him a precocious familiarity with mortgages, home insurance, contractors and, of course, buying and selling property. It comes as no surprise, then, that he’s worked as a mortgage broker for the past 15 years since graduating from university. Along the way, Blades picked up an affinity for building websites and realized that the old ways of doing things in real estate were quickly becoming outdated. “I started to see some inefficiencies in the space and thought that there could be a better platform for consumers and the industry alike to connect,” he tells Techopia. Today, Blades is the CEO of Homicity, a marketplace for consumers to search for and filter through home listings, rental properties, insurance quotes, home service providers and even mortgage rates from 50 lenders across Canada. Jamies Blades, CEO of Homicity, has grown up immersed in the real estate business. Photo provided an AI-powered property recommendation tool. The AI would learn what’s important to a prospective buyer – synthesized into what Blades calls a “livability score” – from questions as well as the user’s searches. For example, if the tool noticed the user was looking for three-bedroom bungalows near schools and along transit routes, it might suggest a nearby property that nearly fits the search’s parameters but is slightly outside the defined area. delivers weekly interviews with Ottawa’s hottest startups and coolest tech execs. Visit bit.ly/TechopiaLive for the latest episodes. Technology keeps up with changes in the demanding field of cybersecurity, watch the video above. Grounded on the past. Focused on the future. Solink’s Cory Michalyshyn (left) and Mike Matta. File photo. The National Capital Region’s Premiere Law Firm. garbage get collected?’” Matta says. “Those are questions that naturally get answered through video. And customers are getting answers for their questions through our product.” Solink has twice been named to OBJ’s list of Ottawa’s fastest-growing companies and last year was one of Techopia’s tech firms to watch. The company counts franchisees of Tim Hortons and Five Guys Burgers & Fries as well as various credit unions and financial institutions among its customers. To achieve Solink’s growth plans – Matta told Techopia just last month that the 60-person company is aiming for 100 employees by the end of 2019 – the firm knew it would need a bit more cash in hand. When they started reaching out to investors, however, Solink’s executives found the demand for its product allowed the team to be selective in who it brought on board. “This is a relationship and a partnership with our investors,” Matta says, adding that the company wanted to get the best bang for its investors’ bucks. Even before Chicago-based Valor Equity got involved in Solink’s seed round, Matta says the company had a “great relationship” with the fund, which counts SpaceX and Tesla Motors among its portfolio. Ultimately, Solink took an oversubscribed round to accommodate investor demand. Full service: Retail and office leasing; land sales; commercial and industrial sales and leasing; agriculture; mortgage financing. Commercial real estate broker and advisory firm serving institutional, public and multinational corporate investors, private owners, major space users, developers and lenders. Commercial real estate sales and leasing including office, retail, industrial, hotels, apartment buildings, retirement homes, land and syndication. Commercial leasing; industrial; institutional; appraisals; property management; consulting; retail; multi-family; residential; apartments; market research. Sale and acquisition of investment properties (single buildings and portfolios); syndication. Apartment buildings. Sale and leasing of retail, office, industrial, commercial and institutional assets; property management; consulting. PEOPLE ON THE MOVE Martin Gomez has joined the Ottawa Senators as the club’s executive creative director. Gomez is the founder of digital agency Fancy Boys, which was acquired by McMillan in 2018. Senstar has named Kristen Cory its new vice-president of sales for North America. Cory brings nearly 20 years of experience in senior management in the United States and Canada, working for different enterprises in business development and executive sales roles. HATS OFF Hydro Ottawa has been named one of Canada’s Top Employers for Young People for the sixth consecutive year. The designation recognizes the employers that offer the nation’s best workplaces and programs for young people just starting their careers. Employers are evaluated by the editors of Canada’s Top 100 Employers on the programs they have to attract and retain younger workers, including benefits such as tuition assistance and the availability of co-op or work-study programs. Ottawa cloud automation firm Embotics announced it was named a leader in the first Gartner Magic Quadrant for Cloud Management Platforms. Gartner Peer Insights documents customer experience through verified ratings and peer reviews from enterprise IT professionals. Kai-Fu Lee, AI Superpowers: China, Silicon Valley and the New World Order, Boston Houghton Mifflin, Harcourt, 2018.
the U.S. has been the global leader in AI to date, he predicts that it will be overtaken by China within a decade. This is a book that merits reading by both business executives and policy-makers. It covers a lot of ground and provides some interesting and sometimes controversial insights into the entrepreneurial cultures of China and Silicon Valley. It also points to the need for government policy-makers to start considering how they will respond to the substantial economic and societal dislocation that AI’s implementation has the potential to cause. A leading AI researcher, Lee is currently chairman and CEO of Sinovision Ventures, a tech-focused investment firm based in China. Prior to that, he was president of Google China. His argument about eventual Chinese leadership in AI relates to the advantages he sees it having in four areas critical to winning the AI race. These are: abundant data, tenacious entrepreneurs, welltrained AI scientists and a supportive policy environment. China’s major advantage as AI moves into the implementation phase is the abundance of data available to it. The country currently has more than 800 million internet users, more than the U.S. and all of Europe combined. Sixty-five per cent of China’s more than 753 million smartphone users have enabled mobile payments, and Chinese e-commerce purchases are roughly double that of the U.S., a gap that is growing. Data from mobile payments is generating rich consumer data which will give China a major advantage in developing AI-driven services. This includes data on users, their location, how they commute, what foods they like and where they buy. China’s second advantage is a growing number of well-trained AI engineers combined with generation of entrepreneurs who have been forged in one of the most cutthroat competitive environments on the planet. These will play a more important role than elite researchers as AI moves into the implementation phase with a focus on creating game-changing companies. Finally, China’s government-led AI plan, which aims for the country to become the global leader in AI by 2030, includes research subsidies, venture capital investments and special development zones and incubators across the country. While Lee acknowledges that Chinese innovation policy is often wasteful and inefficient, he views it as ultimately being effective in achieving its objectives. In addition, he sees the country’s totalitarian political culture as paving the way for the faster implementation of this technology. Micheál Kelly is dean of the Lazaridis School of Business and Economics at Wilfrid Laurier University in Waterloo and the former dean of the University of Ottawa’s Telfer School of Management. PUBLISHER Michael Curran, 238-1818 ext. 228 publisher@obj.ca CHIEF MARKETING OFFICER Terry Tyo, 238-1818 ext. 268 terry@greatriver.ca EDITOR, PRINT CONTENT David Sali, 238-1818 ext. 269 david@greatriver.ca WEB EDITOR Craig Lord, 238-1818 ext. 230 craig@obj.ca HEAD OF CONTENT Peter Kovessy, 238-1818 ext. 251 pkovessy@obj.ca CONTENT CREATOR & CAMPAIGN MANAGER Julie Sobowale, 238-1818 ext. 222 julie@obj.ca NEWS RELEASES Please e-mail to editor@obj.ca. ADVERTISING SALES General Inquiries, 238-1818 ext. 286 sales@obj.ca Wendy Baily, 238-1818 ext. 244 wbaily@obj.ca Cindy Cutts, 238-1818 ext. 240 cindy@obj.ca Victoria Stewart, 238-1818 ext. 226 victoria@obj.ca CREATIVE DIRECTOR Tanya Connolly-Holmes, 238-1818 ext. 253 creative@greatriver.ca GRAPHIC DESIGNERS Celine Paquette, 238-1818 ext. 252 celine@greatriver.ca FINANCE Jackie Whalen, 238-1818 ext. 250 jackie@greatriver.ca PRINTED BY Transcontinental Qualimax 130 Adrien-Robert, Parc Industriel Richelieu Gatineau, QC J8Y 3S2 LETTERS TO THE EDITOR We welcome opinions about any material published in the Ottawa Business Journal or issues of interest to local businesspeople. Only letters with the writer’s full name, address and telephone number will be considered for publication. Addresses and phone numbers will not be published, but they might be used to verify authenticity. Letters can be e-mailed to editor@obj.ca. 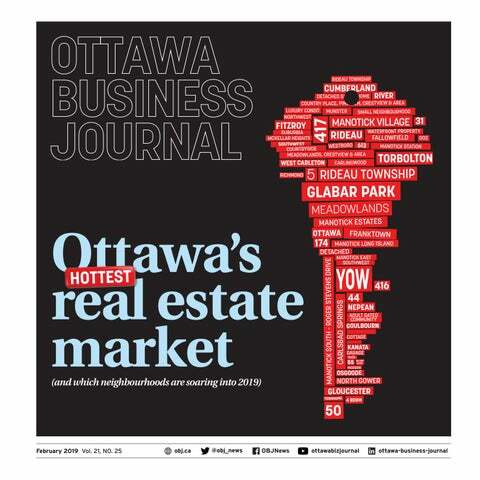 All content of Ottawa Business Journal is copyright 2019. 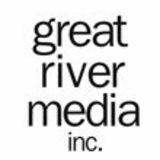 Great River Media Inc. and may not be reproduced in any form without permission of the publisher. Publisher’s Liability for error: The Publisher shall not be liable for slight changes or typographical errors that do not lessen the value of an advertisement. The publisher’s liability for other errors or omissions in connection with any advertisement is strictly limited to publication of the advertisement in any subsequent issue or the refund of monies paid for the advertisement. A guaranteed minimum of 10,000 copies are printed and distributed. To receive information on our special Hilton Honors signature bonus program, please contact our sales department. Ottawa's authoritative source of business news, covering tech, tourism, real estate and other key economic sectors in Canada's capital.